‘HARRY & PATTY’ is a romantic-comedy that is reminiscent of the big hit “Kita-Kita”, where the plain looking Empoy Marquez figures in an unlikely love story with the pretty Alessandra de Rossi. This time, the situation is reversed. It’s the girl who’s a plain Jane, as played by comedian Kakai Bautista, who’s really a great singer who has shone in stage musicals. 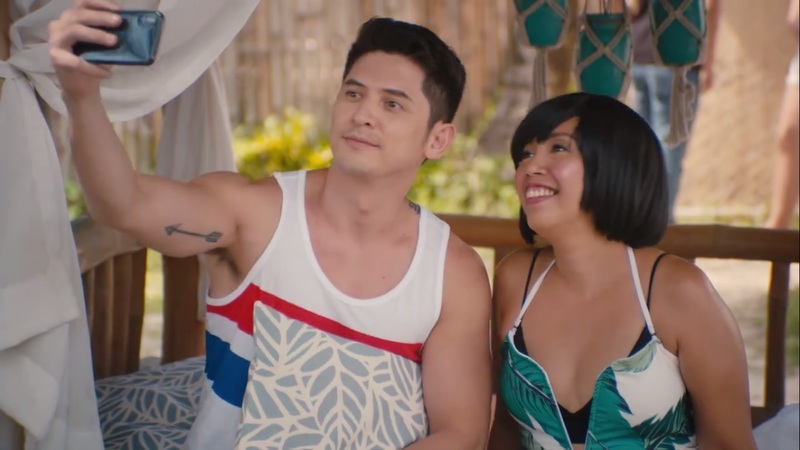 Her leading man is the good looking hunk, Ahron Villena, with whom she was earlier rumored to be in a relationship, but which he denied, causing a rift between them for a while. We went to the movie’s premiere night at SM The Block without expecting anything. 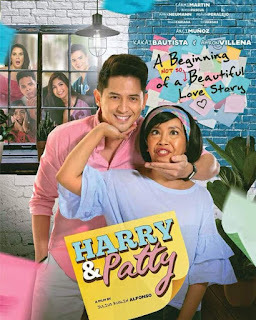 But to our surprise, “Harry & Pretty” proved to be quite entertaining, thanks to the pretty witty direction of Julius Alfonso who didn’t disappoint after his auspicious debut in “Deadma Walking”. The audience was laughing a lot all throughout the movie. They say unlike poles attract each other and this is the film’s premise. Ahron is Harry, a handsome young travel executive, while Kakai is Patty, who earns a living by being a cab driver. As in romantic vehicles of this sort, they start on the wrong foot in their first meeting but you know romance will eventually blossom between them. How they go about making it convincing for us is up to you discover. Just like in “Kita Kita”, there is a very big twist in the storytelling of scriptwriter Volta de los Santos that we didn’t see coming. Of course, we can’t reveal it here and spoil things for you. You just have to suspend your disbelief because one character goes such a huge change and it’s up to you to buy it or not. What makes the twist (a big secret of a major character) so funny and ironic is that it is revealed by an actress who is herself noted for undergoing so many “retoke” procedures. We want to commend her for being so game in this aspect and, in all fairness to her, she’s really good in the few hilarious scenes that she appears in. Produced by Cineko Productions, hopeless romantics and even hardened cynics will no doubt appreciate its underlying message that you can’t forever hide a secret to your loved one and that true love brings out the real beauty of a person, something that is intrinsic and not just superficial, something that will stay on for long and not simply fade away like external good looks. adequate performances of its stars, starting with Kakai Bautista who is wacky enough as the plain looking heroine. Even more appealing is Ahron Villena who definitely has more leading man qualities than some of the lead actors we see today. And his acting is quite good, whether in the comic scenes or in the dramatic scene where he cries unabashedly after Kakai has left him. You’d really wonder why he’s so in love with Kakai but this will be adequately explained later. Giving them good support is Mark Neumann who has a bigger role here as Kakai’s mischievous brother than in “I Love You, Hater”. He plays second lead with his own romantic interest, Heaven Peralejo, who has a winsome screen presence. Also hilarious in their own roles are Carmi Martin as Ahron’s mom who has a deep dark secret herself that is as big as his and Donna Cariaga as Kakai’s friend and boss who succeeds to be amusing in her own odd way.